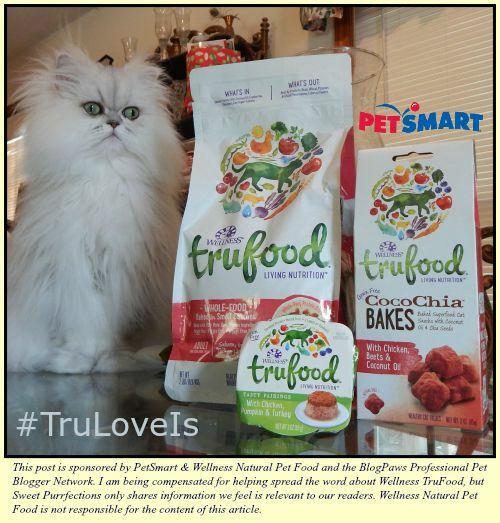 #TruLoveIs feeding your special furchild a healthy and wholesome diet. We're pleased to share that PetSmart® has added another line of healthy cat food to their shelves. Wellness® TruFood® is made with whole foods from farm, field, and sea. It has 70% more raw protein than many pet foods and only uses whole-prey proteins full of natural vitamins and minerals that pets need to thrive. 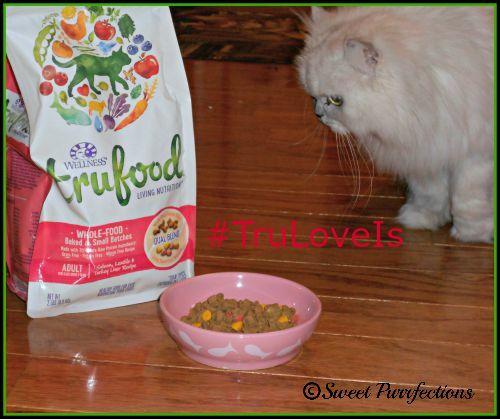 We've eaten Wellness® products since we were kittens and were really excited to check out what the new line, TruFood® had to offer for us kitties. TruFood is available in dry kibble, wet food, and treats. The Baked Blends Dry Cat Recipes are slow baked in small batches and uses grain free fiber such as chickpeas, flaxseed and lentils that make it easier for our delicate digestive system. Powerful superfoods, such as beets, blueberries, and cranberries are included to help maintain a healthy weight and support the immune system. TruFood recipes also contain pumpkin, ginger, and turmeric and live yogurt cultures to help support a healthy digestive system. 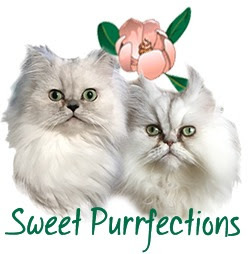 There are four flavors of the dry cat recipes. 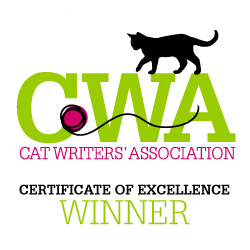 The wet cat recipes contain pure protein and natural superfoods. There is no wheat, corn, or soy fillers. The wet recipes come in an easy-open cup and when you turn it upside down on our plate, it's like a gourmet meal and the presentation is beautiful. There are six different flavors of the TruFood Tasty Pairings. 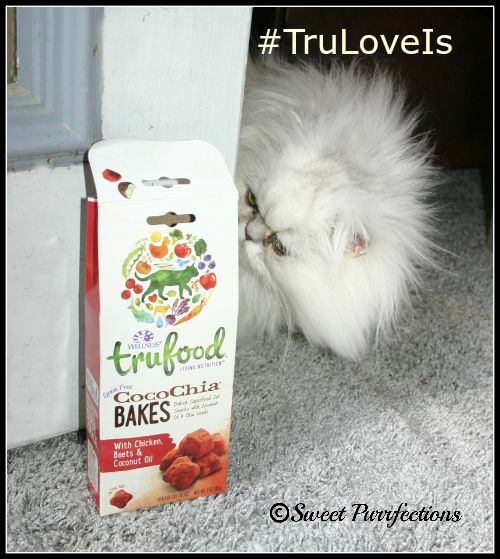 The CocoChia treats are unique because they contain coconut oil and chia seeds that can support skin and luxurious cats and probiotics to promote our digestive health. They are grain-free and wheat-free and are 100% natural. The treats are available in two different flavors. 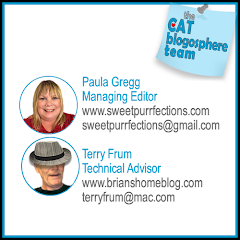 It's so nice to have three PetSmart stores within 12 miles from where we live, so we can send Mom Paula to purchase Wellness TruFood products. You can find your local PetSmart by using the PetSmart Store Locator on its website. 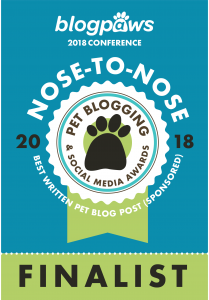 Don't forget to follow PetSmart on social media. What is true love to you and your kitty? Please complete the phrase "True Love is..." in our comments and post photos of your cat(s) on social media using the hashtag #TruLoveIs. 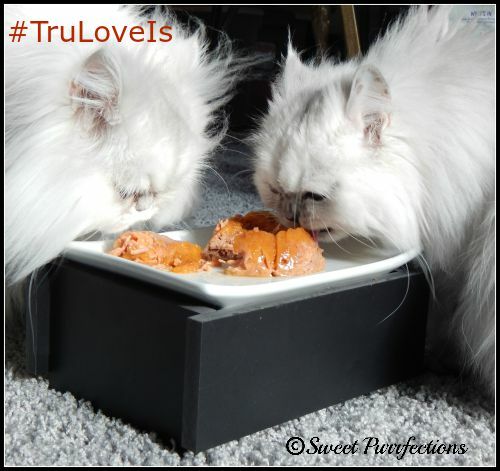 True Love is sharing a delicious and healthy plate of Wellness TruLove cat food. Sounds yummy! My human will have to pick up some next time she goes to PetSmart! Binga loves coconut oil - I bet she'd love the CocoChia Bakes. 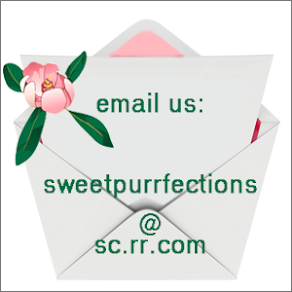 We've been using coconut oil too and love it. Everything from Wellness looks scrumptious! What a great idea to incorporate coconut oil like that. We haven't had a lot of luck eating it other ways, so this might be just the thing! My mom use coconut oil too ! Me guess is HOT !!! This looks like some really good foods. We'll hafta check them out. It looks yummy! We eat Wellness foods too! Great review pretty girls! That does look like it's filled with some yum! Great review! 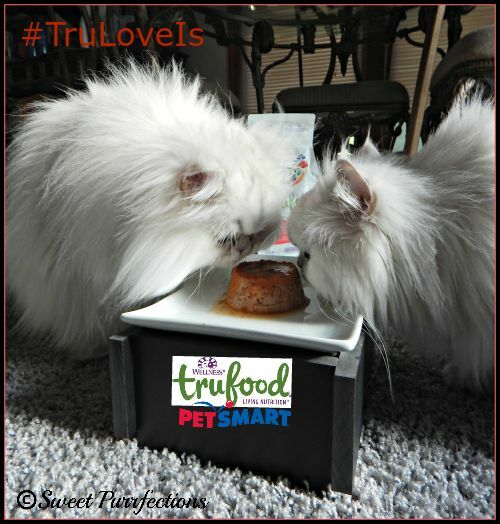 #TruLoveIs eating better than your humans! Coconut oil! We LOOOVE that ingredient! Three Petsmarts within 12 miles, you are so lucky! I was thrilled that one just opened 30 minutes away. I love how many new lines of food can now be found at PetSmart! Great review guys! Next time Mom Peggy goes to Petsmart she said she'd pick us up some of those CocoChia treats. Gweat posty. Mommy just bought us sum of da cups and weez gunna twy 'em tonight. Sounds like good stuff! We feed Wellness wet food, but not this kind. We will have to look into it. 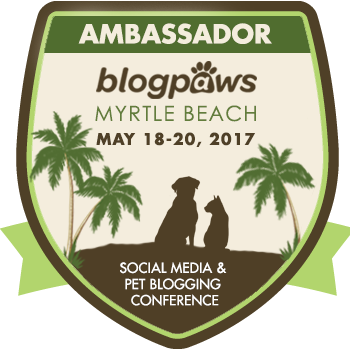 Great review, furiends! Wellness makes some really good dry food. I use them for training treats for the dogs. OMC! Your photos are excellent. 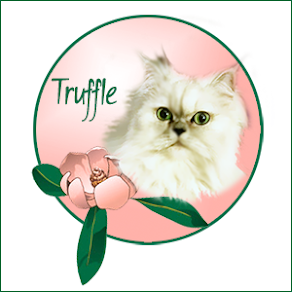 I love Truffle and Brulee so much. I'm glad they enjoy their TruFood. My boys think it is pawsome too! TruFood looks really yummy! We are going to try a little bit of that soon. Cinco and Manna are just drooling at the photos of you two eating it. I have to say that I love the high-quality ingredients and I'm very glad they used such beautiful packaging. It's nice to see something so bright and happy! Looks good and healthy! As pet owners we are always looking for what will keep our babies well and feeling good. Nice Review. I'm starting to be more attentive to what I feed my pets and I think it will really help them be healthier. I haven't tried Trufood yet, but it sounds great! Excellent review and great photos, thanks! We currently eat Wellness Core and were so excited when the launched the True Food line! 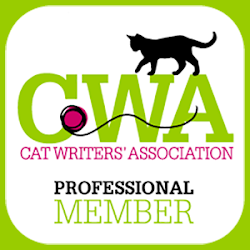 There are so many great things inside that I know will help kitties and dogs alike. 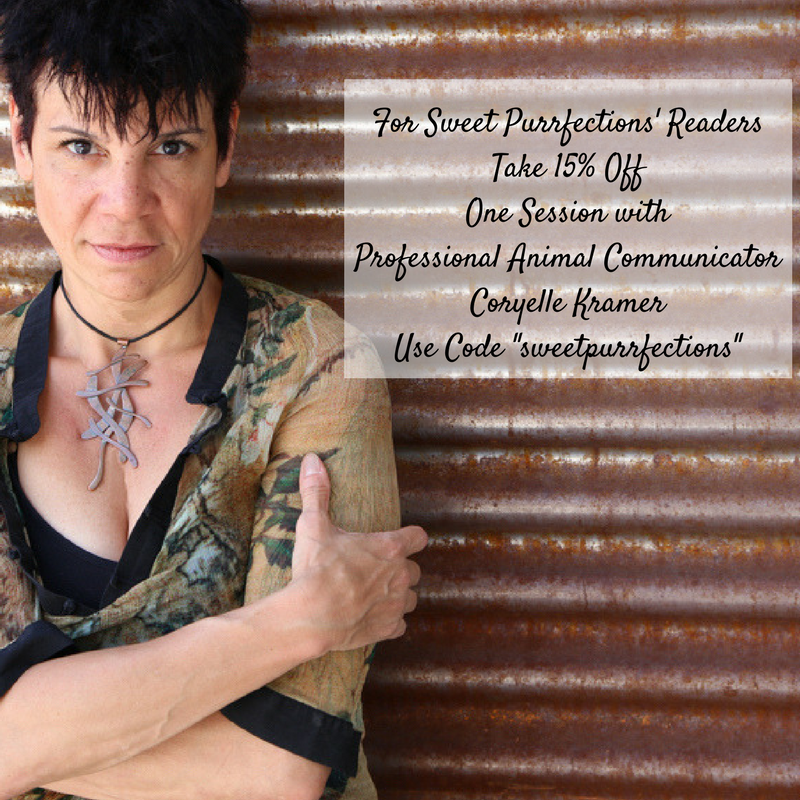 Gorgeous spokesmodels! They certainly seem to be enjoying their meal. 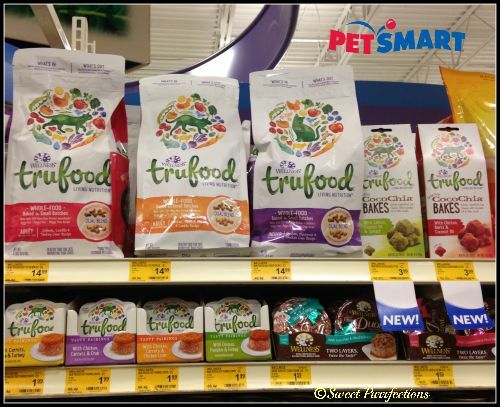 The Wellness Trufood kibble sounds like a good one. I like that its baked in small batches. I am sure the quality control is better that way. 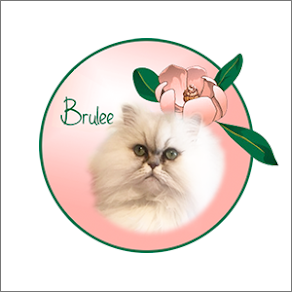 I downloaded the picture with Brulee and the CocoChia treats to include on my tweet. It has your watermark on it so hope its okay to use. If NOT please let me know. That's fine as long as the watermark is still there. Yum! It certainly looks like it was a big hit at your house. We haven't tried Wellness's kitty selection, but Luna is a fan of their dog food and treats! These meals sure do look enjoyable! I love the feeding dish you have!